If you travel with an emotional support dog regularly, it is almost certain that you get awkward glances and dirty looks. Those around you don’t mean to put you in a difficult situation. They’re simply oblivious to the situation at hand and the laws protecting your rights to travel with your service dog. In order to put their worries to an end and to ensure you’re able to freely travel, you’ll want to get your dog registered immediately and to use an emotional support dog vest. 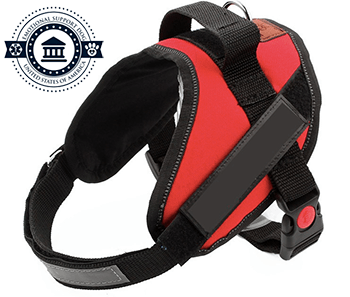 Once you have, you’ll want to announce your dog’s status to the world with our service dog vest. The vest is simplistic, but the purpose it can serve is truly paramount. Before heading out into the public with your dog, you should take the time to familiarize yourself with the laws. Title ADA II is there to protect you and your dog. It basically informs service providers and business owners that they cannot refuse you service, due to the presence of your service dog. If you suffer from a physically debilitating disease, which makes it difficult to move about, your dog can be registered as an official service dog and you will be protected by the aforementioned law. Of course, others will not be so knowledgeable and they’ll be unable to tell that your dog is registered, unless he or she wears one of our official service dog vests. It is essential to understand that people around you are often distracted. They’re thinking about their personal lives, the day ahead, and many will be pounding away on their mobile devices. This may result in these individuals failing to spot your dog, until it is too late. In order to avoid this dilemma, it is essential to equip your dog with a bright, bold vest, which is simply impossible to ignore. Our vests are manufactured from the most durable material, yet will remain comfortable on your pooch. And, the colors are bright and highly visible. Once someone catches a glimpse of your dog’s vest, they’ll see the lettering and will immediately recognize your dog’s official status. The combination helps to eliminate conflicts, while ensuring you’re are able to access the facilities, stores, and services you need, without running into problems or being confronted by a cop or store manager. Our service vest will provide you and your service dog with an abundance of benefits. In fact, the vest is so beneficial that you’re doing yourself a disservice, if you fail to equip your dog with one of our vests. First and foremost, our emotional support dog vest is very durable, sleek and stylish. Your pooch will absolutely adore wearing our vest and they’ll look fabulous when doing so. Therefore, it is truly a win-win situation. Additional benefits will be explored in greater depth below. Your dog is incredibly wise and thoroughly trained. He or she knows precisely where to go and what to avoid. Unfortunately, strangers around you might not be so aware of their surroundings. They could be distracted by their cellphones or sleepy after a long day’s work. Our vest is impossible to ignore, so it will make everyone aware of your dog’s presence. This will help you avoid becoming the victim of an automobile accident. If strangers are unaware of your dog’s accreditation as an official service dog, they’ll likely become concerned and worried, as soon as you and your dog approach. They’ll quickly become confused and may even alert the authorities to the situation. Unfortunately, this will become a massive hassle for you and could very well waste a big chunk of your day. Our vest is designed to help eliminate the potential for such events. Once your dog is wearing the emotional support dog vest, everyone in sight will know that he or she is a service dog and is protected by law to serve you. As soon as they notice the emotional support dog vest, strangers will continue about their days, without worries or concerns. This can help you live your life in normalcy. Unfortunately, there are many businesses, which are hostile towards pets and animals. These establishments are ultimately looking out for the best interest of their customers, but they’re doing you a disservice, if they refuse you entry. In fact, they’re breaking the law! 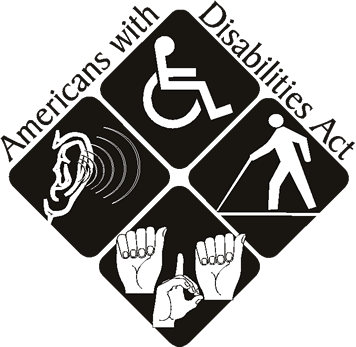 ADA Title II prevents public establishments from refusing to provide service to those that rely on a service dog. Again, this is where our vest will enter the picture. Once our vest adorns your dog, business owners will be aware of his or her status and they’ll grant you entry, without a struggle. Please contact us if you have any questions or concerns regarding our emotional support dog offerings and your specific needs.